PhD in Understanding microtexture effects on the properties of Ti forgings. Open to: Candidates with a strong degree in a STEM discipline with an interest in experimental mechanics and computational modelling. 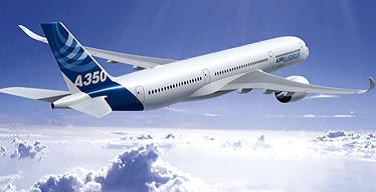 Modern passenger aircraft are constructed from a combination of high performance lightweight materials, such as carbon fibre composites, aluminium, and titanium. Titanium alloys are an especially important component in new-generation aircraft where composites are used more extensively as they do not corrode when brought in contact. For titanium forgings used in these aircraft frames, the desired strength and fatigue performance is achieved through a careful control of its microstructure during thermomechanical processing. However, in large forgings it is notoriously difficult to obtain ideal microstructures, uniformly, throughout the component. Therefore, for the end user of titanium forgings, such as Airbus, it is important to understand and predict how these process limitations affect the performance of components in service. In this PhD project, you will use a combination of advanced characterisation and testing together with computational modelling, to understand the effect of microstructure heterogeneity on the in-service performance of titanium alloys. Experiments will involve in-situ mechanical tests using electron microscopes and microstructural analysis using electron diffraction in 2 and 3-dimensions. For computational modelling your will make use of the of the DAMASK simulation suite (damask.mpie.de) and the University of Manchester’s high-performance computing facilities. You will join a team of nearly 20 researchers researching titanium alloys at the universities of Manchester, which includes other PhD students and senior researchers with experience in computational modelling and advanced characterisation. The project is sponsored by Airbus and provides the opportunity to visit and work on site for short periods.